When Muscatine puts its best foot forward, it’s only possible thanks to the time, talent and resources of the individuals, businesses and organizations in our community. 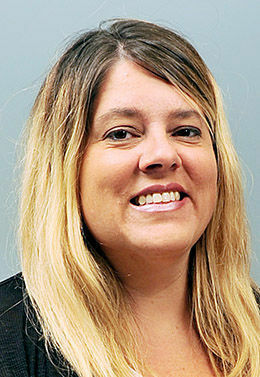 I spoke to Jodi Hansen, Muscatine Convention & Visitors Bureau director, late last week and she was like any event coordinator is leading up to the big day -- nervous and excited. When I spoke to her yesterday after the cast and crew of Amazon’s “Fireball Run” TV series had just exited downtown Muscatine, she was showcasing a different emotion -- gratitude. She was grateful to the financial sponsors of the endeavor: Krieger Motor Company, Monsanto, Unity Point Health - Trinity Muscatine, Kent Corporation, HNI Corporation and the downtown Muscatine retail and business community; the many local committee members that buzzed around downtown Muscatine and played gracious hosts to the competitors; the City of Muscatine; the staff and resources of the Greater Muscatine Chamber of Commerce & Industry and to the location host, Boonie’s On the Avenue. It very well could be with the show’s four-million viewers. “It’s great to be able to show off downtown Muscatine and all the improvements coming to the community,” said Muscatine’s city administrator Gregg Mandsager who had helped to coordinate many of Hansen’s last minute requests. City and police crews provided barricades, directed traffic and even worked with Muscatine Power & Water to hang a giant American flag at the entrance to downtown. “Jodi did an amazing job from start to finish, along with all of our amazing volunteers,” Mandsager added. I salute all of you behind the scenes who worked hard to make Muscatine look and be great, not just yesterday, but every day. With Muscatine repeatedly in the regional news lately, it’s easy to lose track of moments like this, when the community just comes together to do something great.